A blunt reminder that new moms need pumping breaks during the workday. Challenge: The needs of new mothers returning to work after maternity leave are not met and coworkers are not empathetic to the new needs of their colleagues. Solution: Conspicuous apparel for moms to create awareness that new mothers need periodic breaks during the workday to pump breast milk. According to the United States Breastfeeding Committee, as of March 2010, federal laws are in effect for nursing mothers up to one year after giving birth. The law states that in the workplace, there must be an area other than a bathroom where new mothers can nurse and employers must give an adequate break time to complete nursing. However, the law also states that its regulations do not apply to an employer who employs less than 50 people if carrying out these regulations would create great financial or structural difficulty for the employer. For those working in environments where breastfeeding regulations are not present, Overt supplies support new moms returning to the workforce need to receive those necessary, but almost always forgotten, breaks to pump at work. The shirt challenges expectations for work attire in both style and risk. 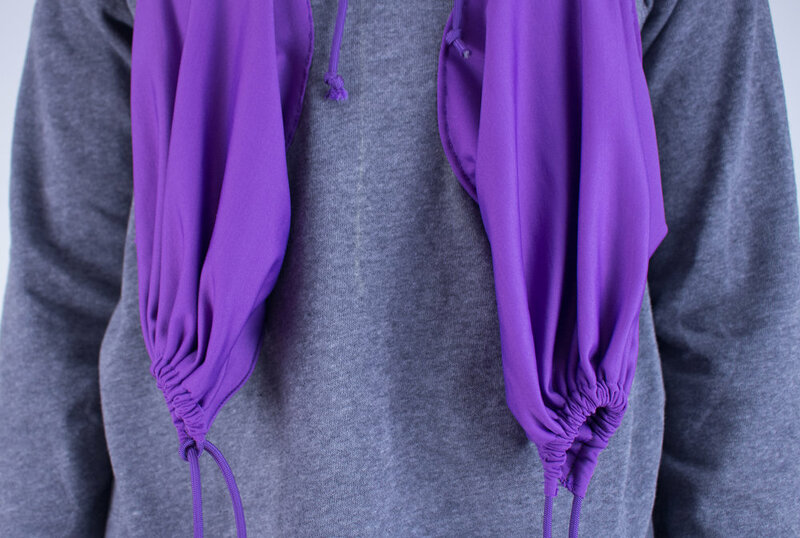 A sweatshirt shell makes sure new moms are staying comfortable after birth and long, brightly colored sagging pouches are conspicuously placed at chest level. Constructing Overt is fairly simple. 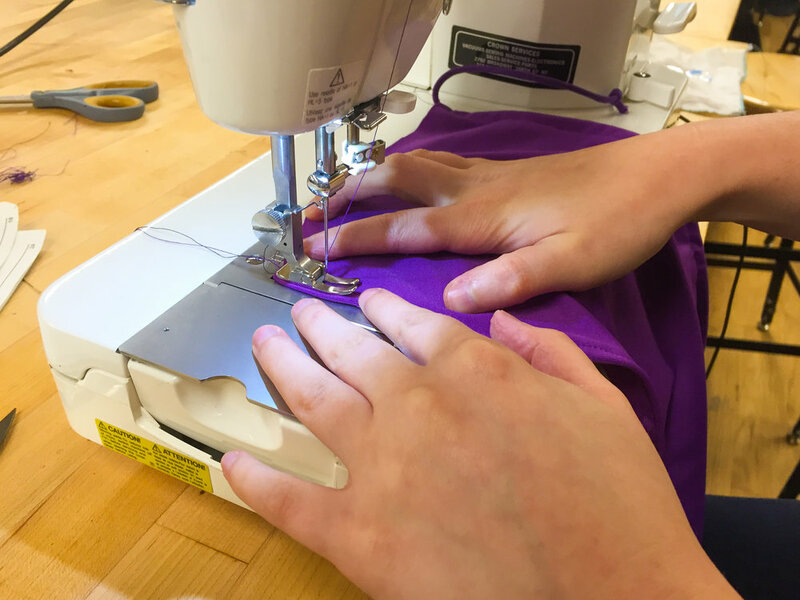 First, large rectangles of fabric are reshaped so the bottom edge has a slight arc that is the full length of the edge, and small tapers are made to both the left and right edges. This adjustments help the dangling pouch with its size and shape. Next, both the top and bottom seams of these pieces are sewn to create a clean edge. 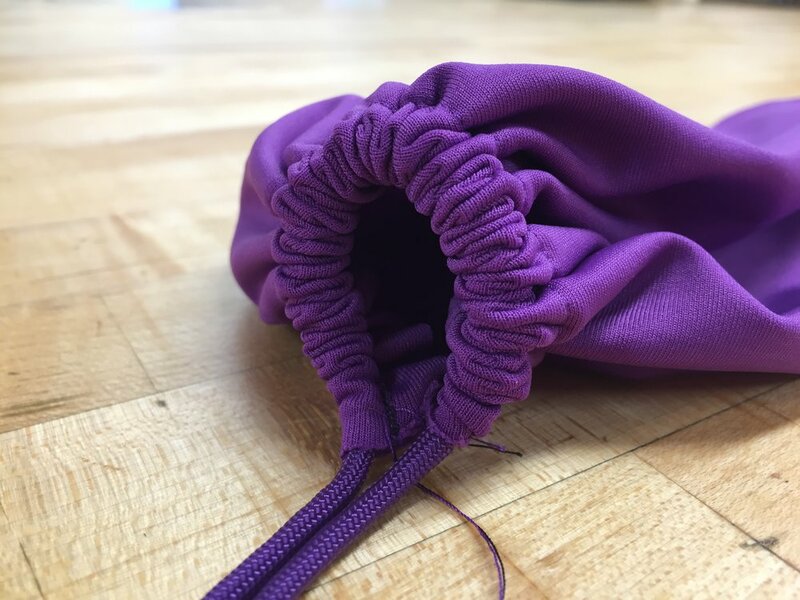 On the top edge, the drawstring will slide through. 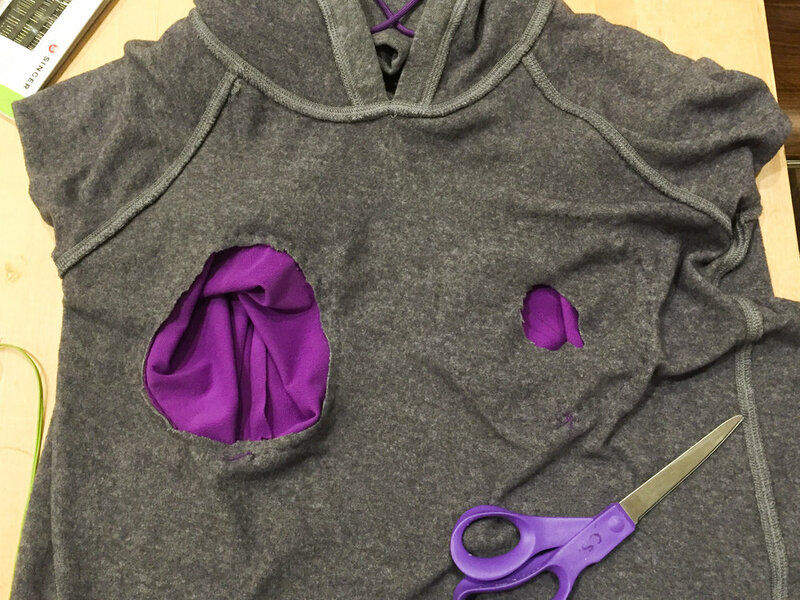 Then, sew the left and right sides to make a closed circle. Repeat with another piece of fabric so you have two. 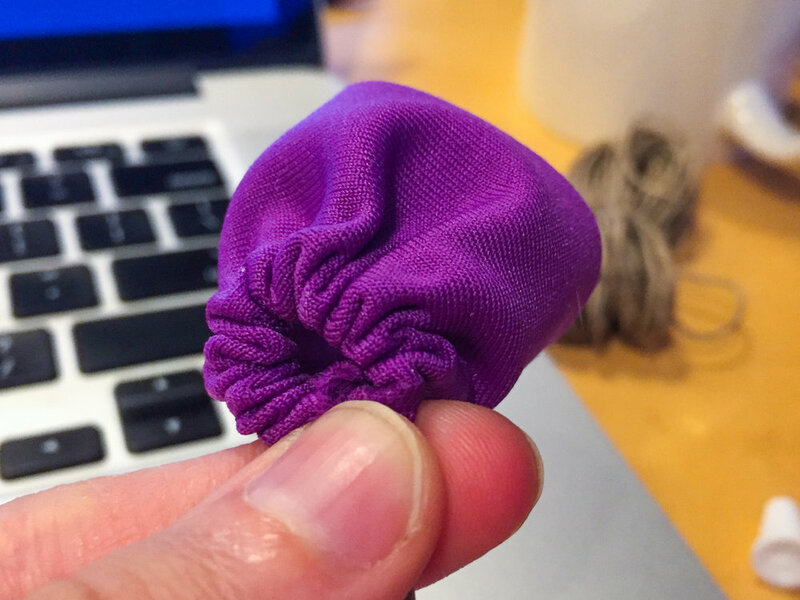 The last part consists of attaching the long sagging pouches to whatever garment you wish. Here, I chose a sweatshirt for comfort. 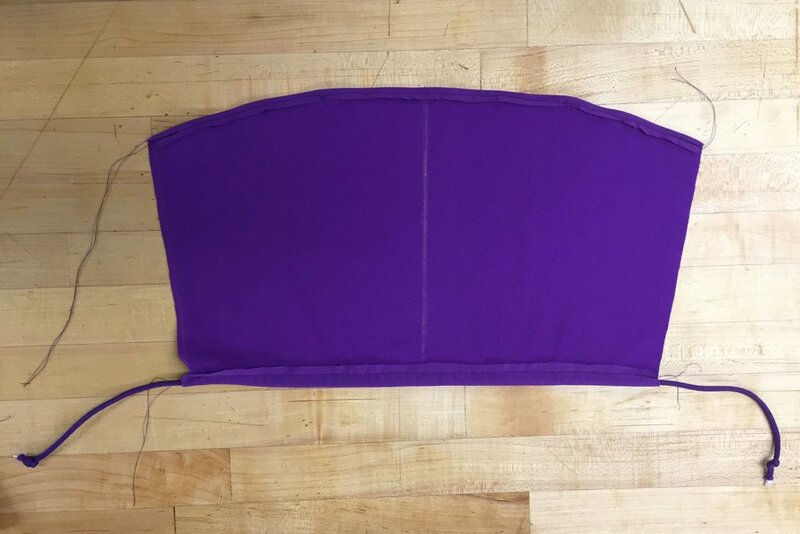 Simply mark where the pouches are to hang (at the level of the breasts) and cut a hole through the inside surface of the shirt. Then, you can attach the pouch to the shirt. I’ve chosen to hand sew here.